It’s very sad to see a much loved theme park having severe cutbacks. Once upon a time, I could make a trip to Alton Towers last a weekend (2 days to be exact) during the main season, away from special events like Scarefest and Fireworks. Now I don’t feel any major reason to make a weekend trip to Towers. FYI, I’m a Southerner so it’s about a 3-and-a-half-hour trip to Towers (6/7 hour roundtrip). Of course, with the opening of a new rollercoaster, I’m very much looking forward to riding Wicker Man (it is a +1 and a new woodie at a UK park!) and seeing how the new area looks, especially the theming structures – plus, FIRE. But when you see how bad the staggered openings are, it makes you question whether it’s worth a trip – for me, I may be saving the trip till Scarefest. I can just envision the queues for Wicker Man being ridiculously long and the rest of the park becoming a ghost park. In previous years we have seen a large number of cutbacks, from closed days during off peak season to cutbacks of food outlets etc. Whilst the staggered openings are enough to make people angry, there are fewer closed days during the off-peak season towards the beginning of this year. That’s a plus right? From the opening times calendar on the official Alton Towers website, we can see that Wednesdays will be the ‘main’ day the park will be shut during the week. All I can do is just wonder the direction that Alton Towers is heading in. I will continue to visit because… I can’t resist some of my favourite rides (Nemesis, I’m looking at you!) and it gives me a chance to see some of my friends who I very rarely see these days. There may be a focus on visiting some more UK parks this year (Non-Merlin) and potentially going abroad. At the end of the day, it says a lot when there are better quality parks away from some of the biggest UK theme parks i.e. Paultons Park. Yes, I said that! 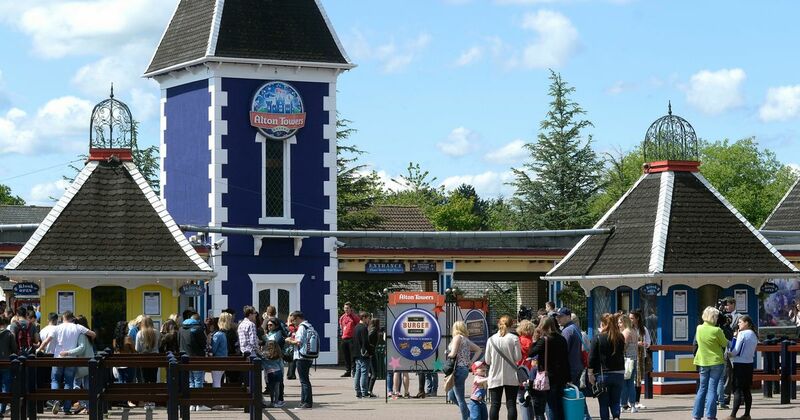 What are your thoughts on the staggered openings at Alton Towers this year? Are you still going to visit? Let me know in the comments below or via my social media channels.